The Africa Educational Trust (AET) was founded in 1958 to support education for African people, particularly those involved in the continent’s struggle for independence. The founders were strong opponents of colonial rule and brought together prominent activists, such as the Reverend Michael Scott, with leading academics in African Studies including Professor Kenneth Kirkwood and Professor Roland Oliver. Together, the founders raised funds to support African students, especially exiles and refugees from white minority regimes in Southern Africa. This enabled them to obtain higher education in Europe (mostly the UK) and gain the skills and knowledge necessary to build and lead independent states. Between 1958 and 1996, nearly 6,000 exiles and students from all over Africa – South Africa, Namibia, Zambia, Zimbabwe, Botswana, Ethiopia, Eritrea, Somalia, Sudan, Nigeria and Ghana – gained higher level academic and vocational qualifications in the UK, thanks to support from AET. With the end of apartheid in South Africa in 1993, the time for providing scholarships for African political activists came to a close. AET shifted to a developmental approach and started to provide on the ground support to education in African countries. AET decided to prioritise work in fragile states and areas of conflict where many people were unjustly excluded from access to education. Education projects were started in Somaliland in 1996 and South Sudan in 1997. These later expanded to other parts of Somalia, Uganda and Kenya. The programmes have concentrated on finding innovative ways to provide formal and non-formal education for disadvantaged children and young people. Our work has a strong focus on promoting gender equality and a commitment to working with and through local communities and organisations and also with regional and national authorities. 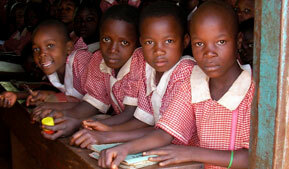 To date, our programmes in Africa have benefited over three million children, young people and adults. AET continues to advance the case for education for all in the belief that education will provide the means for people to recover from poverty, conflict and restore representative and responsive government. For more information on our work, and how you can get involved, please contact us. 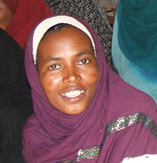 2010 – Receives ‘Impact Award’ by Stars Foundation for work in Somaliland.